THIS month, two Category 4 hurricanes hit the United States within 17 days of each other. In Asia, North Korea is threatening nuclear Armageddon, and floods and famine are putting thousands of lives at risk from Bangladesh to Yemen. How can one survive in this chaotic era? A first step must be to make sense of the apparent chaos. Hurricanes Harvey and Irma have proved that climate change is not fake science, but real threats to home and security. When hailstones the size of golf balls hit Istanbul in the middle of summer, even the agnostics accept that climate change is serious business. The biggest uncertainty that has hit Asia recently is the shock that North Korea has not only developed possibly a hydrogen bomb, but also the missile capability to deliver it even to the United States. This has changed the geopolitical balance not only in North Asia, but globally because it is no longer possible for the United States alone to contain nuclear proliferation. Physics teaches us that chaos is often a characteristic of transition from one order to another. 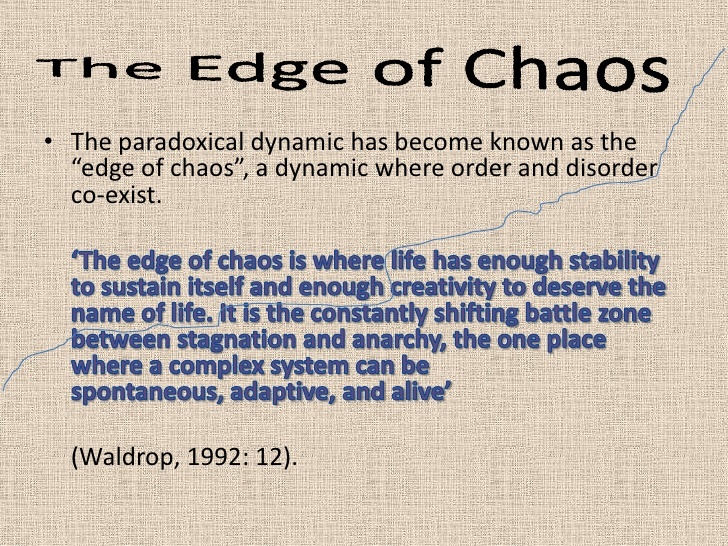 Chaos is also a pattern in which there is apparently no discernible pattern. But there is a seismic transition from a unipolar world led by the United States to a multi-polar world of competing powers and ideology, particularly after the 2007 global financial crisis. As the share of US GDP in the world declines relative to the rest, the rise of China, India and increasing assertion by Russia and non-state players like IS means that the United States’ ability to dominate militarily and ideologically is being challenged. At the same time, increasing stresses from social inequalities and paranoia of terror, immigration and job loss have tilted the United States to become more inward looking. The Trump administration has dramatically begun to dismantle the neoliberal order of multilateral trade and finance that shaped US foreign policy since the end of the Second World War. There is a raw open division within the United States in outlook and values. The Democratic Left believes in maintaining the old order of moral leadership on human rights, democracy and multilateral global stability and prosperity. The Republican Right questions these beliefs and prefers America First, negotiating bilaterally to achieve that premier status. Earlier this year, the Pentagon asked the Rand Corporation to conduct a review on “Alternative Options for US Policy toward the International Order”. The key questions for the New Global Order are: Who sets the rules and how binding are the rules? The study breaks the future order into two camps of rule-makers – the US and its allies or a concert of great powers. Under such a division, there are two conditions where rules are binding – one dominated by the US camp to enforce rules and the other where the great powers agree to a global constitutional order enforced by institutions. The other two conditions where rules are not binding involve a coalition of states aligned to counteract against revisionism and a new concert of great powers. The immediate problem with the Rand categorisation of New Order Visions is that the existing liberal, rules-based order is not being challenged by others, but by the US itself. First, after German Chancellor Angela Merkel’s comment earlier this year that Europe must begin to look after its own interests, it is no longer clear that America’s traditional allies are going to follow the US leadership when there are serious disagreements on trade, climate change and immigration. It is no coincidence that the largest trade imbalances are no longer between China or oil producers with the US, but between Europe and the United States. Germany alone is running a current account surplus equivalent to around 8% of GDP. Second, within the Middle East, alliances are shifting almost by the day. The quarrel between Saudi Arabia and Qatar has riven the Gulf Cooperation Council, while Turkey is playing an increasingly pivotal role within the shifting alliances. Third, North Korea’s bid for nuclear power membership, despite being a small state, means that Great Powers may have to accommodate new players whether they like it or not. Fourth, climate change in the form of Hurricanes Harvey and Irma demonstrate that nature can impose larger and larger economic losses on nations and regions, which will require global public goods that the current order is neither willing to fund, nor able to agree on how to address. The economic losses from Harvey alone is estimated at US$180bil, equivalent to the annual GDP of a middle-income economy. The existing multilateral bodies such as the United Nations and the World Bank are facing serious resource shortages relative to these new global demands. The bottom line is that the current order has neither the resources nor the collective will to enforce rules when the human population growth puts increasing competition for scarce water, food and territorial spaces. Chaos arises from the breakdown of rules and borderlines. In short, globalisation of trade, information and human migration has meant that traditional borders in many regions are becoming non-enforceable. For example, it is 101 years since the 1916 Sykes-Picot Agreement divided up the collapsing Ottoman Empire into British, French and Russian spheres of interest and eventual control. These borders were drawn and enforced by the Great Powers through their military superiority. Seen from the long lens of history, with the Great Powers being unwilling to put troops on the ground to enforce borders drawn up under the colonial era, these artificial borders are failing. A hallmark of the times is that even the best of think tanks cannot map out how to navigate through this era of disruptive technology, unpredictable climate and shifting alliances and interests. What history teaches us is that the fault lines will be at the borderlands, at the confluence of emerging forces and stresses. We should therefore be prepared for not only disruption at the borderlands of physical space, but within the realms of cyberspace.